This certified organic deodorant is soothing, safe and delivers long-lasting protection. Enriched with certified Organic Tea Tree Oil, Vitamin E, and corn starch this deodorant delivers gentle and soothing freshness. Aqua (Water/Eau), Ethylhexyl Palmitate, Oryza Sativa (Rice) Starch/Amidon dOryza Sativa (riz), Zea Mays (Corn) Starch*/Amidon de Zea Mays (Mas)*, Glyceryl Stearate, Stearyl Alcohol, Lavandula Angustifolia (Lavender) Extract/Extrait de Lavandula Angustifolia (Lavande), Aloe Barbadensis Leaf Juice*/Jus de feuilles dAloe Barbadensis*, Camellia Sinensis Leaf Extract/Extrait de feuilles de Camellia Sinensis, Salvia Officinalis (Sage) Leaf Extract/Extrait de feuilles de Salvia Officinalis (Sauge), Citrus Grandis (Grapefruit) Seed Extract/Extrait de ppin de Citrus Grandis (Pamplemousse), Lavandula Angustifolia (Lavender) Oil/Huile de Lavandula Angustifolia (Lavande), Melaleuca Alternifolia (Tea Tree) Leaf Oil*/Huile de feuille de Melaleuca Alternifolia (Tea Tree)*, Coriandrum Sativum (Coriander) Seed Oil/Extrait de graine de Coriandrum Sativum (Coriandre), Tocopheryl Acetate, Panthenol, Saccharomyces Ferment, Glycerin, Allantoin, Sodium Bicarbonate, Sodium Stearoyl Glutamate, Cetearyl Olivate, Sorbitan Olivate, Potassium Hydroxide, Ethylhexylglycerin, Gluconolactone, Phenoxyethanol, Sodium Benzoate, Benzyl Benzoate, Butylphenyl Methylpropional, Citral, Eugenol, Hydroxyisohexyl 3-Cyclohexene Carboxaldehyde, Hydroxycitronellal, Limonene, Linalool, Fragrance (Parfum) *Certified Organic Ingredient. 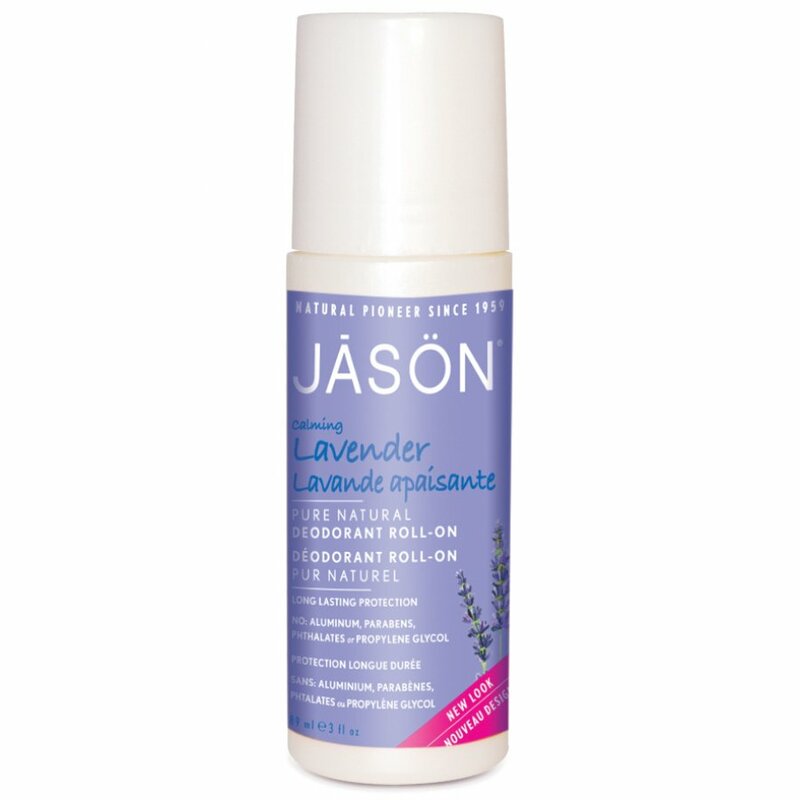 The Jason Lavender Roll On Deodorant - 85g product ethics are indicated below. To learn more about these product ethics and to see related products, follow the links below. Bought for a friend in hospital who loves the smell of lavender. first time have used this product and so far very pleased mild and as effective as any of the other " super brands"
There are currently no questions to display about Jason Lavender Roll On Deodorant - 85g.